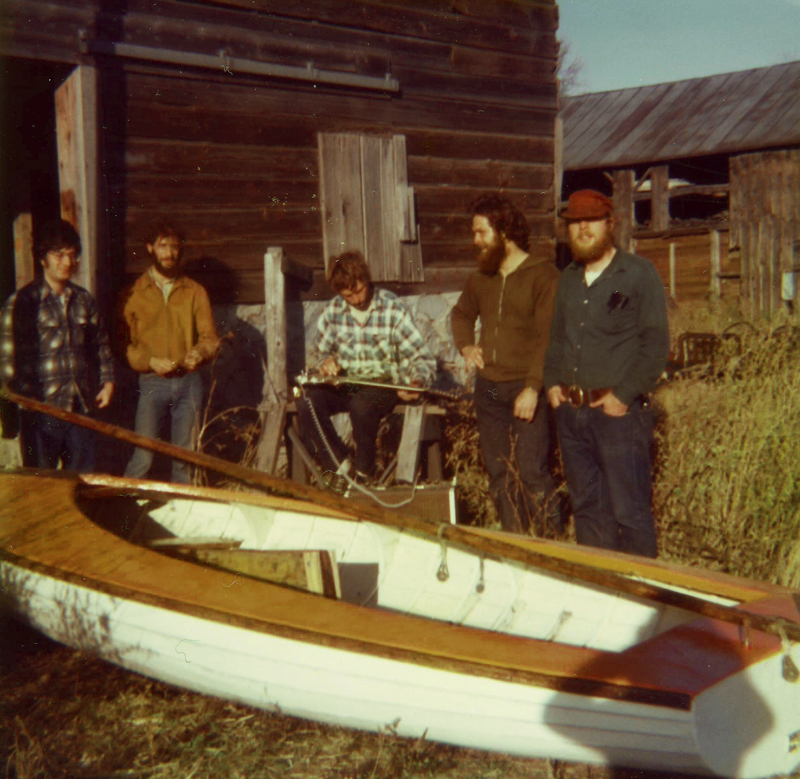 Seaworthy Small Ships’ creator and founder George Surgent’s life long fascination with boats was spawned growing up in the Great Lakes region. 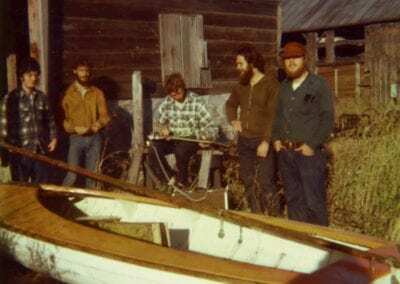 Upon graduating from the University of Michigan in 1973 with a degree in Art, he set out to use his talents and pursue his interest in boats. 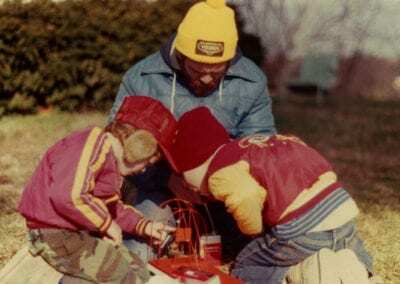 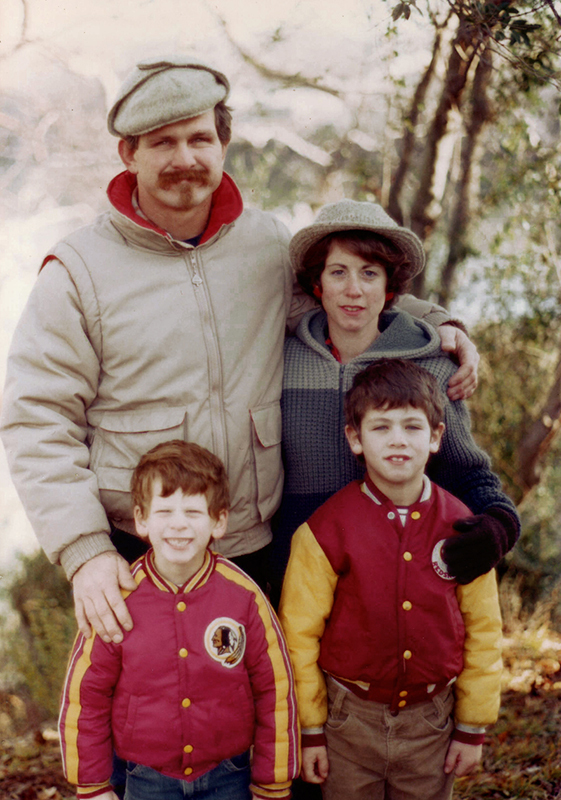 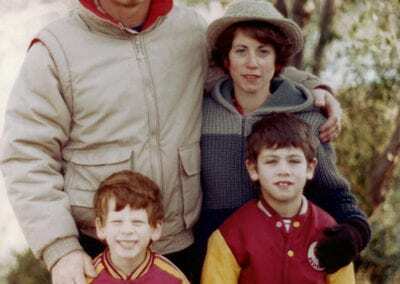 After traveling the East Coast in search of work at a boat shop, George and his wife Marla, settled in Maryland. 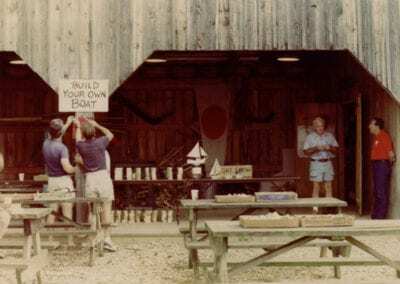 George spent several years employed at the boat shop of Peter VanDine prior to starting his own boat building and repair business. 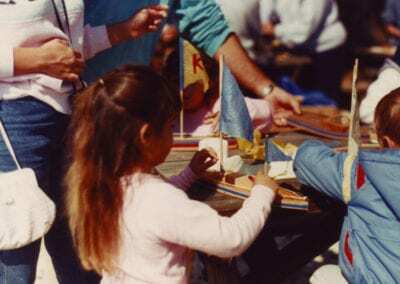 In time his family grew, as did his involvement with the Calvert Marine Museum in Solomons, Maryland and the Mid-Atlantic Small Craft Festival hosted by the Chesapeake Bay Maritime Museum in St. Michaels, Maryland. 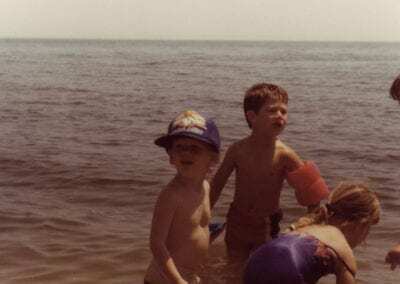 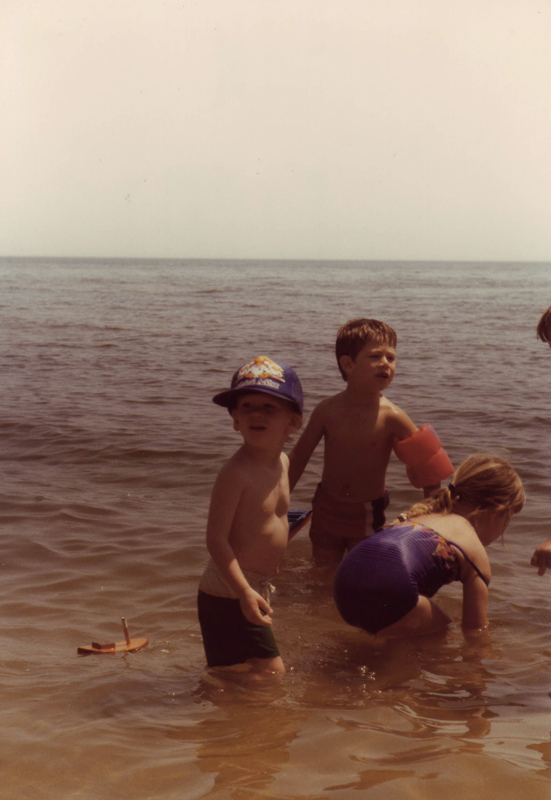 Family outings on the water always included toy boats. 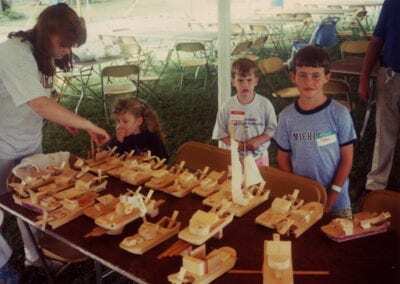 Whether towing them on a line behind their sailboat, free sailing from shore or playing with them on the beach, the model boats they built became an integral part of their family life. 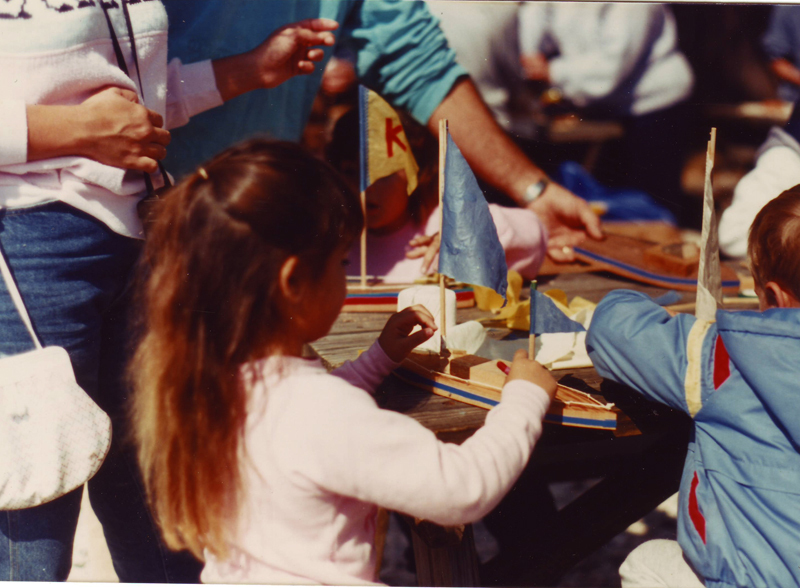 George was invited to his son’s pre-school class to teach the students about boats. 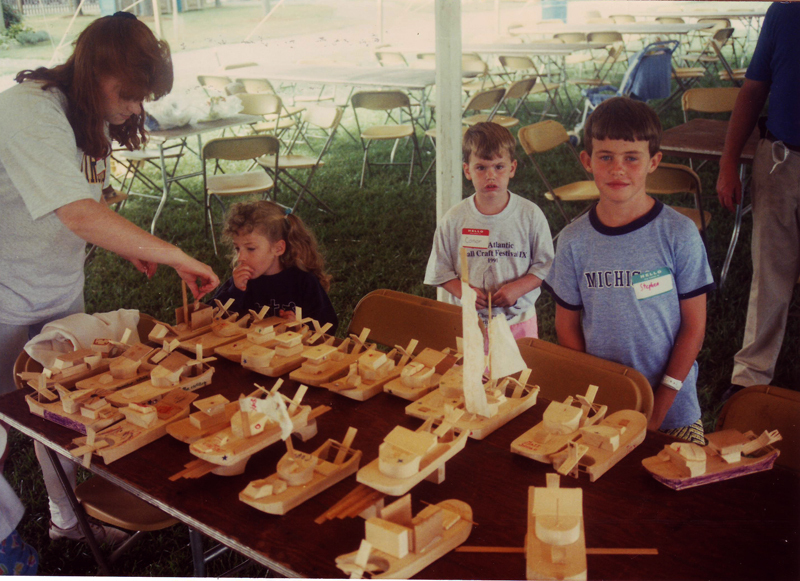 To accomplish this he fabricated simple model boat kits for the class to assemble. This popular activity was repeated over the years in elementary school classes and at other events. 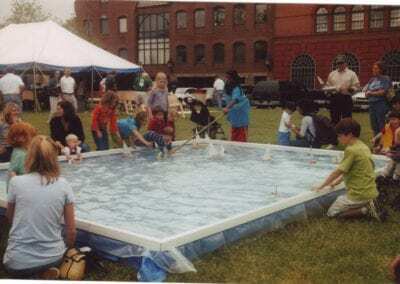 During the Mid-Atlantic Small Craft Festival, an annual gathering for small boat enthusiasts and their families, there was such an interest in these models that George was encouraged to make them available to the public — and so the launching of Seaworthy Small Ships in 1993. As founder of the Patuxent Small Craft Guild, George, with the help of it’s members, has established a long tradition of toy boat building at the Calvert Marine Museum. The building and sailing of Seaworthy Small Ships’ model boat kits continues to be a part of children’s activities at schools, museums and festivals around the country. 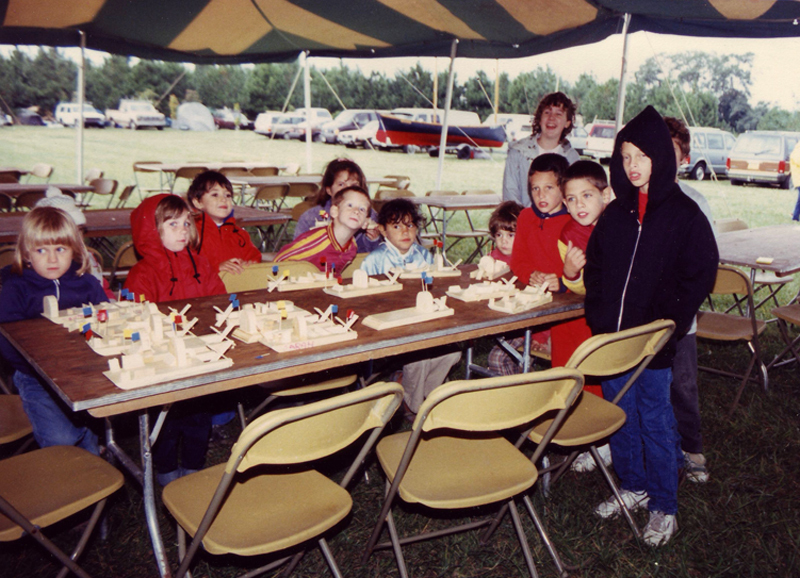 View our Events Schedule and come join the fun.